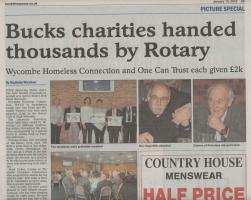 Rotary Club of High Wycombe - welcome! Please scroll/swipe down through this page to find out more about us, in addition to the pages linked in the menu, top-left. 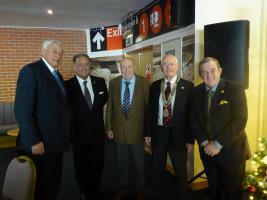 The lunch raised money for the Rennie Grove Hospice and the Alzheimer’s Society. Rennie Grove was chosen in honour of Michael Child who organised this lunch for many years until he sadly passed away earlier this year. Keynote Speaker - TONY ADAMS Bring items for valuation (£10) by SIMON BROWN. Tonight we are in the Caledonian Suite, Adams Park. Tickets £25, Table of 8 - £175, 10 - £225 Click on the blue DETAILS for a link to the Auction Site itself. Full Page Picture Special in the Bucks Free Press (Friday 19 January 2018) of lunch and presentations. Our Club was founded in 1926. In those days the norm was for Rotary Clubs to meet at lunchtime we have done so ever since, although we do hold some of our meetings in the evening. It was also the norm to be male only, and whilst many Rotary Clubs have retained this structure, we opened our doors to female members many years ago. We also have a vibrant Inner Wheel Club for women who prefer such arrangements and for the wives and partners of our members. We are proud to support the nearby Rotaract Club that caters for young people who are setting out on their careers. 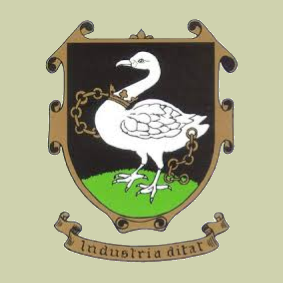 If you are interested in joining our Club you can contact our Secretary (see Meeting Information at the bottom of "in the next 30 days") or use the 'Contact Us' link at the top of this page. 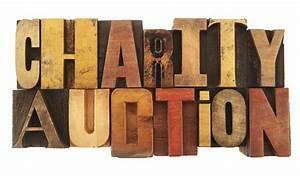 Bring items for valuation (£10) by SIMON BROWN. Tonight we are in the Caledonian Suite, Adams Park. Click on the blue DETAILS for a link to the Auction Site itself.